This is possibly the sweetest affordable getaway in Woodstock you will ever find! Come see for yourself. 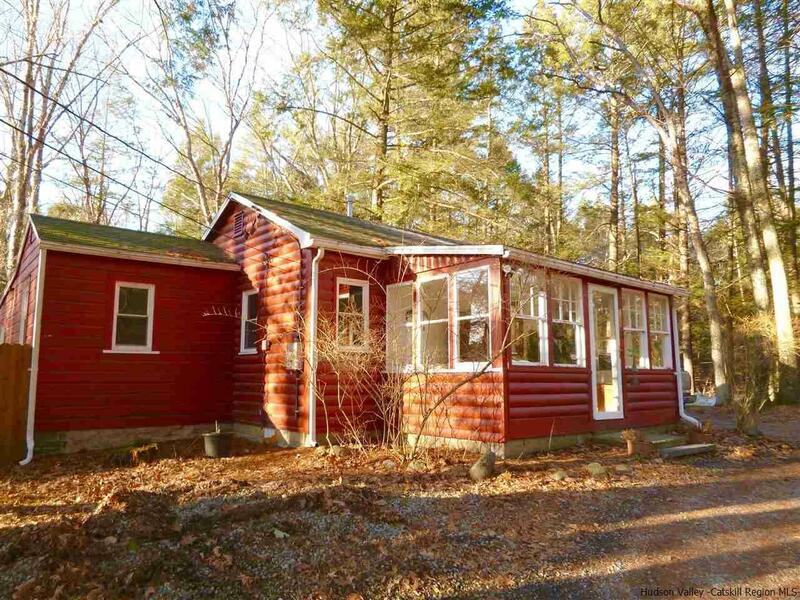 It's the cute red cabin tucked in the woods just a short distance from the Thorn Preserve, a 60 acre land conservancy with fields and trails for strolling, bird watching or just gazing at the exceptional Catskill Mountain views. This country cottage was updated a few years ago from top to bottom to help make your life carefree and easy. The kitchen is a delight with gas stove and granite counters. The roof, heating system, and windows are 6 years new. Bamboo floors in the living room are brand new. The garage has been turned into office/studio space - great for artists and writers! A totally fenced in back yard for those with pets is quite lovely and picturesque, complete with a fire pit. Just bring your hammock and BBQ grill.